Stadler to remain Audi CEO until 2022. BERLIN -- Audi boss Rupert Stadler will be given another five years as the automaker's chief executive. Stadler, who has run Audi since 2007, has faced criticism for his handling of Audi's role in parent Volkswagen Group's emissions-cheating scandal. The 54-year-old, along with fellow executives, is expected to face questions from shareholders at Audi's annual meeting on Thursday about a March 15 raid by German prosecutors looking into the scandal. The supervisory board vote to extend Stadler's contract, which is due to expire at the end of this year, was unanimous, Audi said in a statement on Wednesday. 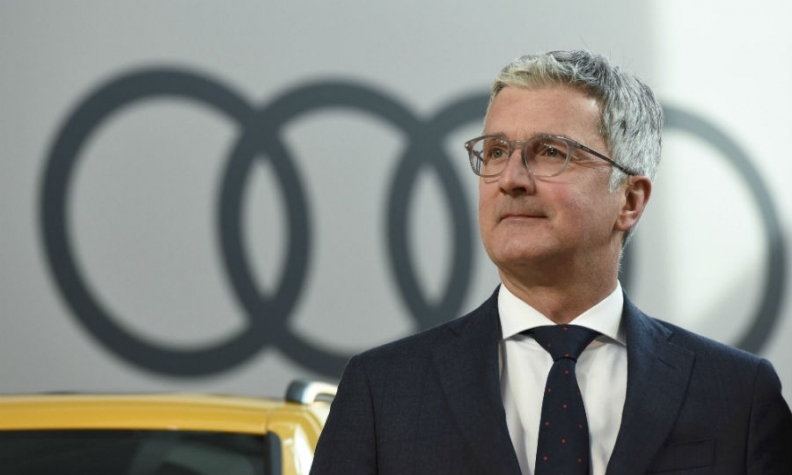 "We employees attach very clear conditions to this contract extension," Peter Mosch, chairman of Audi's works council and a member of the presiding committee of the supervisory board, said in the statement. Stadler "must safeguard employment at our sites in Germany for the long term, ensure good utilization of our plants' capacities and systematically promote technologies that guarantee a successful future for our company," Mosch said. Audi admitted in November 2015 that its 3.0-liter V6 diesel engines were fitted with an auxiliary control device deemed illegal in the United States that allowed vehicles to evade U.S. emissions limits. VW Group has agreed to spend up to $25 billion in the U.S. to address claims from owners, environmental regulators, states and dealers and offered to buy back about 500,000 polluting U.S. vehicles. Audi said on Wednesday it was upgrading and expanding its area of responsibility for integrity, with the chief compliance officer in future reporting directly to the finance chief.